Sammons in Africa: Fifteen students wives - and their children! Fifteen students wives - and their children! Jessica - child care for 15! This week we were delighted to welcome the wives of our final year students here in the Bible College. I realise that one of first posts when we arrived last year was of this course, perhaps with similar pictures. My Swahili is so much better now, and the course concequently more efficiently organised!! They all seem delighted to be here, and thank you again to friends in UK who have generously sponsored the course. 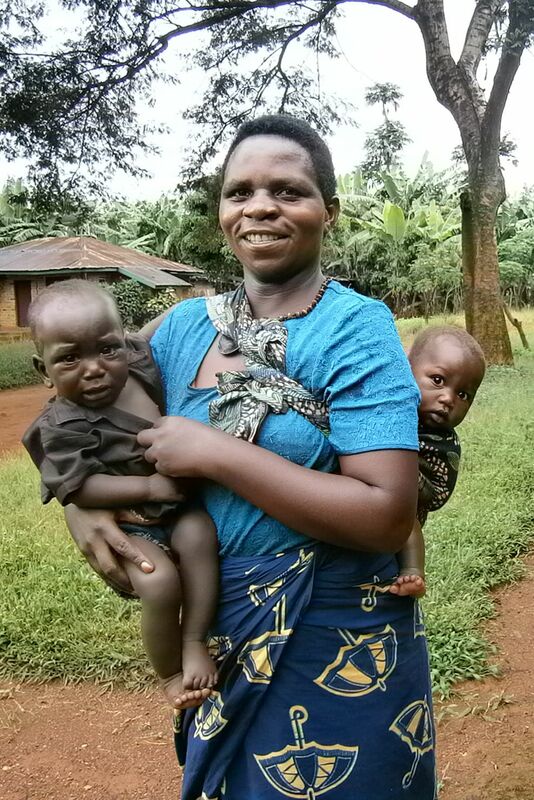 The women also enjoy the opportunity to leave their children with Jessicca (pictured above) while they spend the morning in the class room with their new exercise books and pens! They learn a variety of subjects that will help and encourage them as the wives of church leaders. The role here is very traditional as you may imagine, but if they have the skills and confidence it can be rewarding. Jessica is wonderful - but the first morning when I went to see how she was getting on with the children I found them ALL crying!! I tried to help but my strange white face made it worse and they cried even louder. Here she is with two of the little ones - the face of the one at the front says it all! As well as generally co-ordinating the course, and the different teachers, I teach Health - we did 'healthy food' this week; and also one English class a week - with lots of laughter - so that they can at least say Good morning to white visitors! It was a real joy today to give one lady a pair of Primark reading specs - thanks to my sister-in-law who recently bought all the specs in Primark in Glasgow and brought them to us. For years she hasn't been able to read her Bible - it was like a New Testament miracle to give her a pair of 2.5's! Alastair has had a crazy week, with 4 long, 12 hour days at different hospitals. The rains have been very heavy and the roads increasingly difficult - the end of the day in theatre is only the beginning of his problems as he then needs to get home in the dark and mud.